What makes someone’s soap the right fit for them? Products have developed to something beyond just a need fulfilled. With the amount of choices, consumers not only want a good product, but something they can be proud to support. This is where Seventh Generation’s Free and Clear Natural Dish Liquid Soap comes in. Non-toxic, biodegradable, dye-free, chemical fragrance free, kosher, and free from animal testing, are just some of the products positive features. The soap is also an effective cleaner, which is crucial for any soap product. The combination of features and benefits could make it a great match for anyone’s kitchen. A very important factor when considering soap supplies is if the company performs animal testing. Seventh Generation is an animal cruelty free organization. They have received the leaping bunny logo, letting consumers know they do not do any animal testing. The Leaping Bunny was created by the Coalition for Consumer Information on Cosmetics. This is to assure consumers that the company has been thoroughly evaluated. One of the biggest selling points for me was that the soap is non-toxic and fragrance free. There are few soaps that will not illicit allergic responses in my home. I have enjoyed the natural dish liquid for years without any negative symptoms. Likewise, it is built for sensitive skin. This is a great hand soap for those with allergies to normal chemical soap. It is free from phosphates and petroleum based cleaners. As well, it was created to be hypoallergenic. The dish liquid soap gives me peace of mind about any sensitivities my family might have. 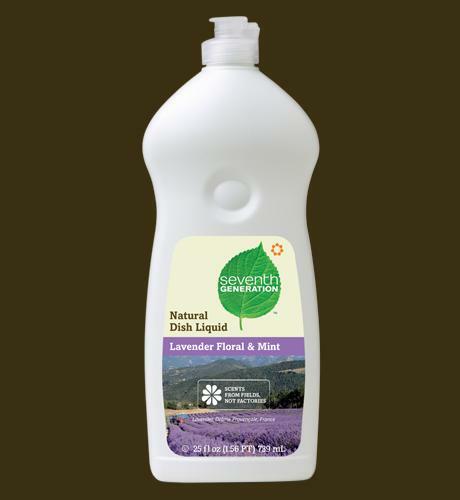 Another positive feature about Seventh Generations Liquid Dish Soap, is that it is eco-friendly. The soap is USDA Certified Biobased. This means the product is biodegradable and not harmful to the environment. Because they don’t use heavy chemicals in their products, there products are not toxic to the water, land, and air. Seventh Generations Free and Clear liquid soap might not be for everyone. Many people enjoy the fragrance in their soaps. For these consumers, there are many scents such as lavender floral and mint. Seventh Generation has multiple dish liquid soaps with scents. The scents, however, are not chemical. They are created using natural ingredients so you can have your cake and eat it too. 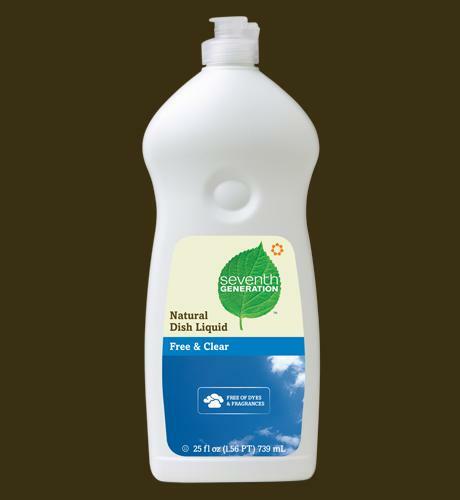 Seventh Generations Free and Clear liquid soap is a great natural, effective soap. This is my preferred soap. The brand also gives you something to be proud of after purchasing. I know I am supporting a healthy lifestyle, and world. It can be used for heavy duty cleaning, or for washing hands. Its formula, impact, and multiple capabilities, make it the preferred choice for soap users everywhere. Watch and see how 7’th Generations Free and Clear soap is a cut above the rest.